Earlier in May this year, I took a 2 week long solo trip to Spain and Portugal. It was a much needed getaway before I embark on my final year in medical school, and probably the very last “long” trip before graduation. I covered quite a few places – Barcelona, Seville, Madrid, Porto and Lisbon – with some day trips from each major city. It will probably take me forever to process all the photos taken on this trip and to write about my experience in detail, so this brief summary of my trip would suffice for now. This post summarizes my travels in Spain, you can read about my experiences in Portugal in Part 2. I felt there would be no better place to kick off the trip than Barcelona, a city I am already familiar with (and in love with), and I was absolutely right. There’s a immediate sense of familiarity upon touching down at El Prat Airport which stayed with me throughout my stay in the city (e.g. my phone still auto-connects to my hostel’s Wifi network) and made me extremely reluctant to leave. 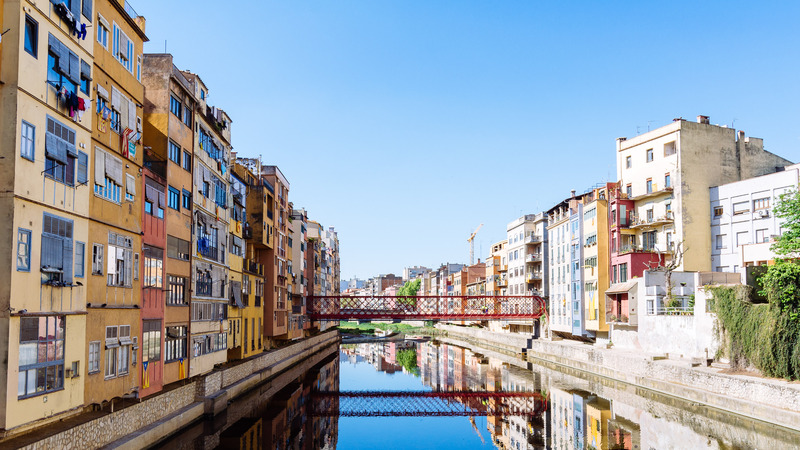 From Barcelona, I took incredible day trips to Montserrat and Girona. 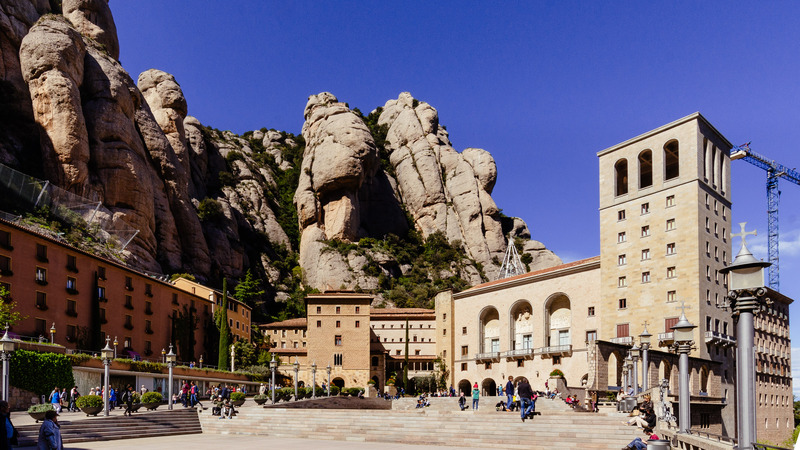 Montserrat (“Serrated Mountain”) is a mountain range about an hour from Barcelona by train. More than halfway up the mountain lies the Benedictine Monestir de Montserrat, home to the Black Virgin, one of Spain’s most revered icons. Around the monastery is a natural park, with hiking trails bringing you to various points on the range. After 3 days in Barcelona, I flew south to Seville. Seville is everything people imagine Spain to be – delicious tapas, flamenco dance and beautiful churches and palaces. It was unfortunate that I could only spend a night there – long story short, I did not book my hostel in advance and I could only stay for a night before I was ‘evicted’ as the hostel was fully booked the next night. Nevertheless, I managed to visit the main historical sites and tourist attractions before I left for Córdoba. I initially planned to visit Córdoba as a day trip from Seville, but I am glad that I got to stay a night there. I had the chance to meet some fellow travelers at the B&B that I was staying at and it was really fun swapping travel stories over food and alcohol. The historical centre of Córdoba was also incredibly fun to get lost in – walking down the narrow, flower lined streets, you never quite know what you’d find just round the corner. My last stop in Spain was the capital city. Everyone told me that Madrid is nowhere as fun as Barcelona, but the city pleasantly surprised me even despite the gloomy weather when I was there. On my last day in Spain – I traveled to Consuegra and Toledo. That’s right – 2 places in a day trip. 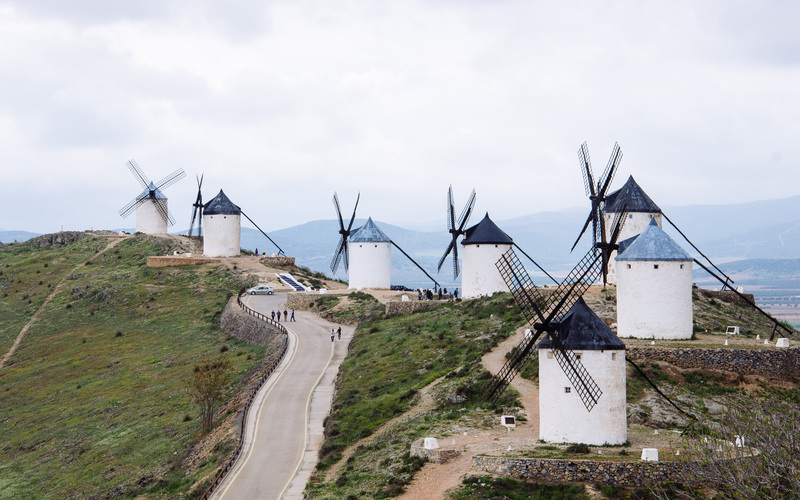 I had planned to visit Consuegra the day before, but I put off the trip as the weather was gloomy af. However, later that night, I met a filmographer who had just returned from Consuegra and he convinced me (with some very beautiful footage) that a trip to Consuegra was absolutely necessary. Consuegra is a small town near Toledo which, despite its size, has been featured on the covers of many travel guides for Spain. 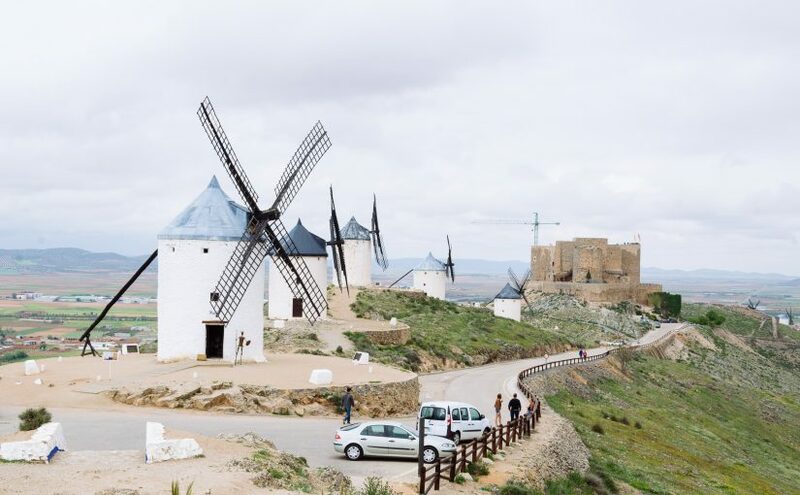 It is home to the famous windmills of Castile La Mancha, which Don Quixote mistook for giants. As it is relatively inaccessible (there’s no train services to this town, and bus services from nearby cities are infrequent), there are not many tourists around, which makes for a very tranquil visit. It was almost 6pm when I reached Toledo after leaving Consuegra. All of the tourist attractions were closed, but I enjoyed exploring the hilly city on foot (little did I know that it was much needed preparation for the terrain in Porto and Lisbon). Toledo is a place I will definitely revisit again. I’d never imagined myself to be back in Spain just 2 years after I first visited it, but my love for this country has only grown. I’m not sure when I would be back in this lovely country, but I sure hope it’s soon! Meanwhile, you can read more about my travels in Portugal here. just wondering which airbnb do u stay in Madrid do u recommend and area? I plan to visit Europe and Spain. For my summer holiday, I’m looking at Tenerife or Lanzarote.I came across this one article about the place here in https://www.canaryislandsinfo.co.uk/la-palma/places/ I’ve never been to either and apparently, the beaches are fantastic as well as being suitably ‘different’ to make it interesting. How about you guys? Any plans?